1.Methyltrienolone is a potent, non-aromatizable androgen which has also been used as a photoaffinity label for the androgen receptor. 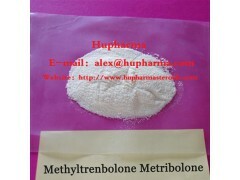 It is the 17-methylated derivative of trenbolone, and is a similarly potent anabolic steroid, but with high hepatotoxicity. Along with a steroid which binds really firmly towards the AR may promote lots of muscle mass functionality as well as burn off lots of body fat.